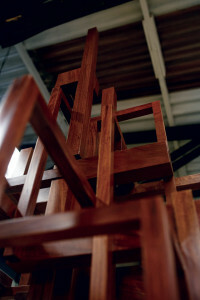 ARTIST PROFILE by Linda Conard photos: Murphy Byrne. 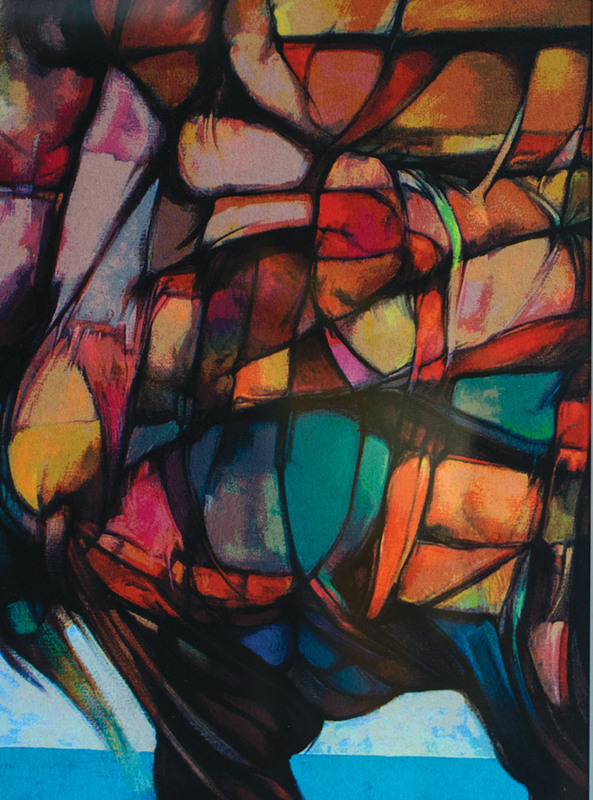 When you step into an exhibit of Ramón Ávila’s paintings, you are surrounded by color, emotion and intensity. Many of his oils suggest organic elements, such as earthy roots, plant fibers and even internal organs, in forms that are progressive and reaching, complex and tangled. In other works, distinct lines and robust colors elicit a sharper, more urban impression. His early work in Brazil reflected his love of abstract expression. 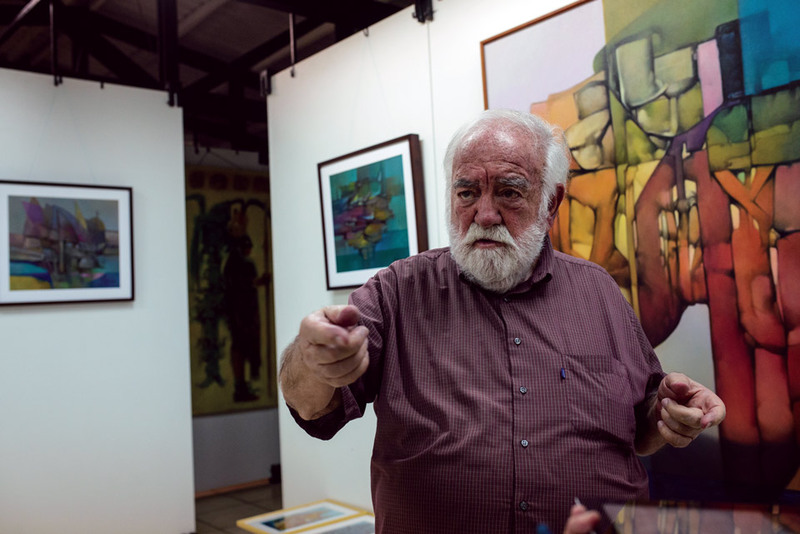 But the early 1960s marked a significant change in his style when an opportunity to help form the Department of Creative Arts for Publicidad Centroamericana brought him to Guatemala. Ávila traveled throughout Guatemala during the 1960s, painting the people, landscapes and traditions that surrounded him, using more realistic style than ever before. Nonetheless, his goal was never a strict reproduction of what he witnessed, but rather the expression of his impressions. “When you paint a landscape, for example, you need to draw out the impression, the reflection motivated by the landscape—not copy it. You will never improve on nature. The same happens in figurative and folkloric work. You can’t improve on tradition—it’s untouchable, it’s law, it’s sacred, and it’s history,” he says. In the 1980s, he suddenly returned to abstract painting, partly in response to a very personal loss. “It changed everything. Everything. In part, I returned to the abstract because reality didn’t exist for me. …There are many negative things that are realities. Injustice is a reality. To be inhuman is a reality. It didn’t make sense. I still find it very confusing,” he says. In Ávila’s case, “something good” is always extraordinary.